“You have been marvellous, and by now you have become part of the legend of Maryam Dengelat, in the company of angels and prophets”. This phrase was written by Dr. Luigi Cantamessa, one of the most influential members of the Italian community in Ethiopia, and was addressed to Giorgio Mallucci and Elisabetta Galli, mountaineering instructors (INA) for the Mountain Wilderness association, active for years now in mountaineering/humanitarian projects among the rocky peaks of the Tigray region. The epic-sounding sentence, devoid of any rhetorical spin, accurately reflects the symbolic resonance of these two mountaineers’ achievement at the conclusion of an enterprise that – I feel – honours the cultural broad-mindedness of our association, although not directly connected to the defence of mountains. What was it all about? On Sunday 24 March, a gathering of 300 church authorities, politicians, local media, the faithful and the curious attended a ceremony for the reopening and re-consecration of the rupestrian church of Maryam Dengelat after nearly half a millennium of compulsory abandonment. Like many others of the region, the rock-hewn church occupies a deep cavity in a spectacularly sheer rock face, surveying the valley below as if from the nest of an eagle. The arduous path that once led to its entrance was swept away in the early 17th century when part of the mountain collapsed. According to local legend, the Virgin Mary herself provoked the landslide to prevent the church from being profaned by advancing Muslim troops from Eritrea. Whatever the story, since that time no one has ever again managed to make the ascent to its entrance. Over the past five years, Mountain Wilderness Italia’s mountaineering and trekking instructors have earned the esteem of the inhabitants of northern Ethiopia and their governors for the commitment, sincerity and selflessness they have brought to training 50-odd young locals in the basic techniques of navigating rock faces or other dangerous terrain, forming a group of skilled medium mountain guides capable of safely accompanying foreign tourists on visits to the ancient churches and monasteries nestled among the spectacular sandstone steeples of the Gheralta massif. As a result, many former trainees are making a reasonable living today while working to the full satisfaction of their customers. 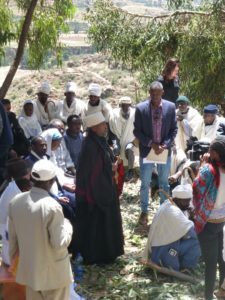 It is not surprising then that the University of Adigrat (specifically in the person of Prof. Hagos Gebremariam) directed its request to reach the church of Maryam Dengelat after so many centuries of isolation to Mountain Wilderness, which, with the support of the Italian Cultural Institute of Addis Ababa and the Italian Embassy, accepted the challenge. Once again, Giorgio Mallucci and Elisabetta Galli were tasked with making the climb and outfitting that imposing rock face that separates the church from the underlying plain at a height equivalent to two 5-storey buildings. At this point, it should be made clear that these two mountaineers not only worked free of charge, as they already had in the past, but also made their own contribution to collecting a part of the necessary resources. It took three weeks of intense labour to make the church once again accessible and ready for its re-consecration: one week to reach the entrance using mountaineering techniques that were made difficult by the instability of the soft sandstone cliff, especially at its steepest point; and two weeks to begin construction, with metal cables and ladders, of an accessible means of ascent even for unskilled persons – tourists maybe, but above all, members of the local congregation who have always lived at the feet of these rock walls and each day addressed their prayers and thoughts to the saints portrayed within the church. Five hundred years have passed, and the birds, the only creatures capable of accessing the church, have deposited nearly a metre’s worth of droppings on its floor, fortunately without damaging the splendid religious images that adorn its walls. Paintings which are also of extreme importance to art historians as documents of the evolution over the centuries of Ethiopian religious iconography and fresco style. The project of restoring the church to the faithful was divided into two phases: the first concluded with the opening ceremony and re-consecration. A pulley system was used to place a courageous priest on the church’s upper balcony to open the entrance to the monument – and not without considerable difficulty – while the crowd amassed at the base observed the re-consecration rite with rapt attention. A second phase, planned for September next, entails the installation of non-invasive structures that will permit the church to be cleaned, and allow entry, which, although not a simple procedure, will nevertheless be safe. 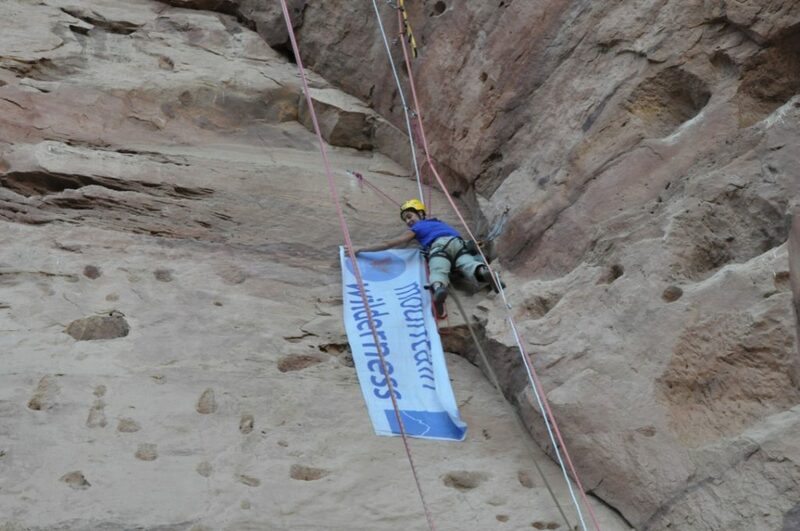 For this purpose, Mountain Wilderness will train several local guides without whose assistance no one will be allowed up. The bishop of Adigrat’s statement to the crowd during the ceremony sufficed as full compensation for the Mountain Wilderness instructors’ three weeks of rugged commitment, and as confirmation that the project had been carried out in profound reverence for the feelings of the local community: “These people came from far away to help our religion; they crossed the Red Sea to come to us, travelling by land and by sea and, never asking anything of us, scaled our mountains like bees to their hive, braving the considerable danger of the climb. Our church was closed for centuries, but today Maryam has asked Her Son to help them and us to reach it and reopen its door. To these foreigners we must be grateful, and for them we must pray”. Buried for centuries beneath a mantle of earth and thorny vegetation so thick that it appeared to be just another “natural” feature of the surrounding desert landscape, are the ruins of a protohistoric urban settlement of Beluchistan. After a preliminary survey, a team of archaeologists peeled away the surface of the mound, layers after layers, bringing to light what remained of the ancient structures and objects, thereby radically altering its profile. The Archaeological Survey of India was forced to intervene when an enormous banyan tree rooted in the cracks of a famous Buddhist stupa many centuries old threatened to pull its dome apart. The tree was a beauty, but it had to be taken down in order to save this precious piece of historic testimony. Would we have had argument with the archaeologists of Beluchistan or the Survey of India officials? Despite my romantic attachment to the ruins of Piranesi’s drawings, I am certain the answer is no. The ability to establish cultural priorities – even detaching them with all due prudence from the ethical concern for preserving the natural environment – is one of the positive features of our civil education. 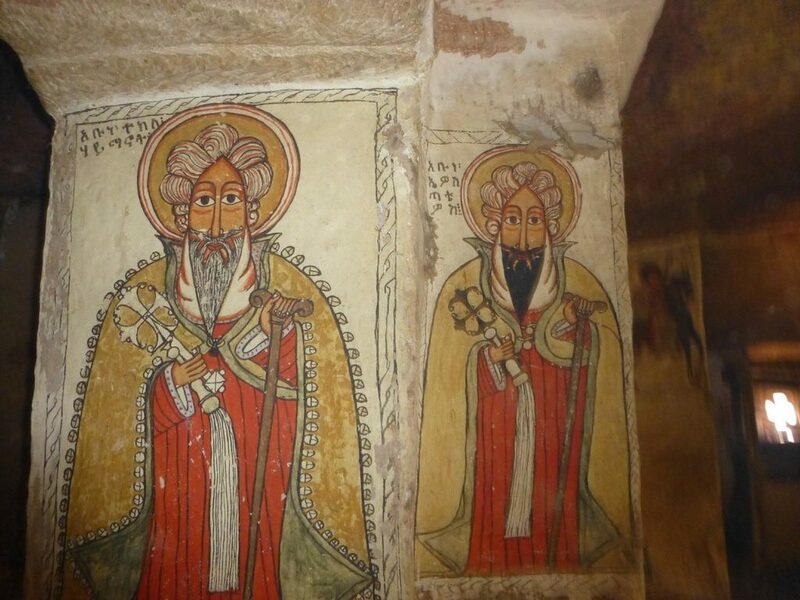 The same reasoning goes for the undertaking of Betty Galli and Giorgio Mallucci, who succeeded in making it possible once again for the faithful of Ethiopia (and the historians of Coptic Art) to reach the rupestrian church of Maryam Dengelat. For 500 years the church had remained inaccessible to its congregation due to a massive landslide that cut off all access to its entrance. Details of this complex, brave and emotional enterprise can be found on the Italian Association’s website (www.mountainwilderness.it/etica-e-cultura/mountain-wilderness-in-etiopia-un-grande-successo/). Some of our Italian associates have read the account and written to me in all frankness wondering why Mountain Wilderness had agreed to respond to the request by the University of Adigrat. 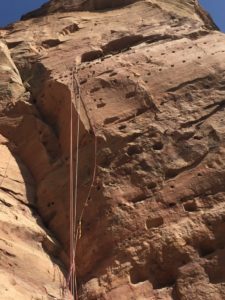 Indeed, making it possible for the priests and congregation to once again cross the threshold of Maryam Dengelat involved, and continues to involve, setting up an approximately 50-metre ascent route comparable to a demanding via ferrata. But hasn’t Mountain Wilderness been consistently opposed to this type of anthropization of the mountain environment? Of course, and opposed we remain, nevertheless aware that it is not the equipment in and of itself that is to be feared (much less its definition! ), but what it is used for and its effects on the mountain experience. The few metal cables and ladders that, starting next autumn, will allow some faithful Ethiopians to kneel once again before the painted images inside their church (what’s more, without their knees sinking into bird droppings) will not undeservedly facilitate the ascent to a summit, or contribute to cheapening the encounter with an uncontaminated mountain wilderness. If anything, they are part of an unusual restoration operation that was made possible using the skills and equipment associated with the world of mountaineering. Let’s be entirely clear about this: Maryam Dengelat is not located along a mountain route. We must take care not to employ a wholly unrelated context to assess and question Mountain Wilderness’s never-betrayed ideals. The objective here was simply to restore an ancient monument to its faithful worshippers, re-consecrate it and clean it so that a metre’s worth of bird droppings on the floor doesn’t end up destroying what remains of its precious wall paintings. For a series of reasons too many to list here, it remains outside the realm of possibility that this will lead to a potentially damaging heavy influx of tourists. Mountain Wilderness Italia not only did well, but did exceptionally well to take up this challenge: one of great responsibility that, far from setting an image-damaging precedent has, beyond the shadow of a doubt, helped maintain the esteem our association has earned among the Ethiopian population of the Tigray highlands as a result of its repeated trekking guide courses. Thanks Betty and Giorgio! But thanks also to the observant associates whose questions made these reflections possible.